Through the combined efforts of the Jonestown Borough Council and the Jonestown Park, Rec & Events Committee, it is their vision to create a community in which our residents can take pride in their town and their park. Annual events such as the Block Party, the Christmas Tree Lighting Celebration and many others are planned as a way for our friends and neighbors to enjoy the fellowship of each other and to enjoy the great opportunities that small town living can offer. Jonestown boasts a 65 acre community park; walking, running and biking along the Rails to Trails; water activities on the Swatara Creek; and the Jonestown Tour which boasts a walking trail with many historic structures – some that even date back to the 1700’s! 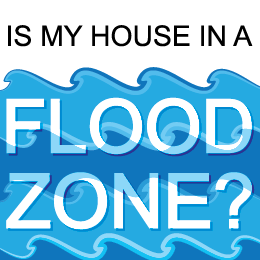 Please note that flood insurance is still available to those who are not located in the floodplain. 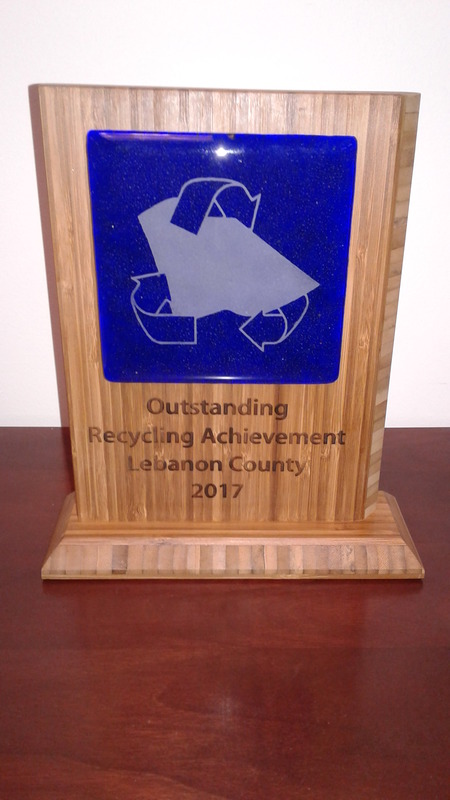 The Greater Lebanon Refuse Authority has awarded six Lebanon County municipalities for outstanding recycling achievements during 2017. 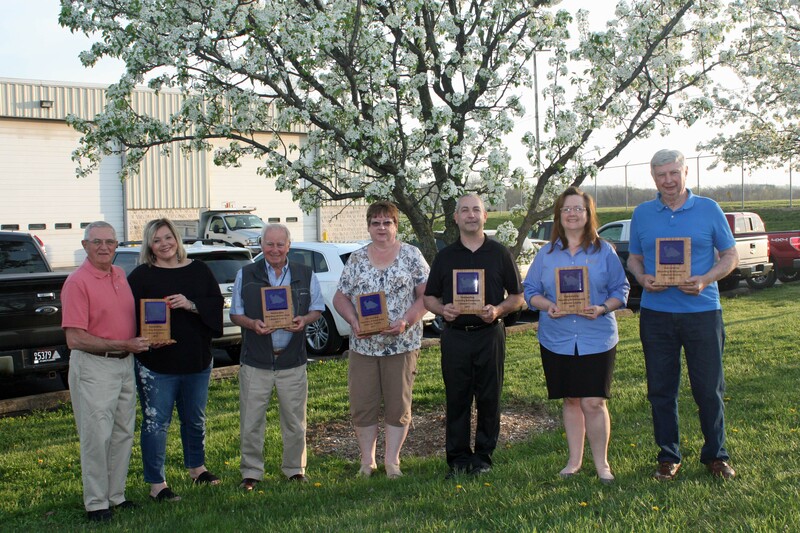 Mayor Sellers, third from the right, accepted the eco-friendly award made of bamboo and recycled glass on behalf of the Jonestown Community. The figures below are based on actual tons of materials recycled and landfilled for each of these municipalities. Not only is recycling good for the environment but it’s good for your wallet too! I recycle at home and I have been able to cut my garbage bill in half AND I only have my garbage picked up every other week! Don’t forget, there are recycling containers available at the Borough Office. Remember: Reduce, Reuse and Recycle! Keep up the good work, Jonestown! MAYOR SELLERS ANNOUNCES VOLUNTEER OF THE YEAR AWARD! THE 2017 VOLUNTEER OF THE YEAR HAS BEEN AWARDED TO SUZANNE DUBECK! A great amount of time and effort goes into preparing a grant and because of Suzanne’s willingness to help her community and take lead on this project, the Jonestown Park has been awarded a grant totaling $43,500 to pave our park trails. This will also allow the park to add handicap parking along the trail and a wheelchair pad by the bandstand. 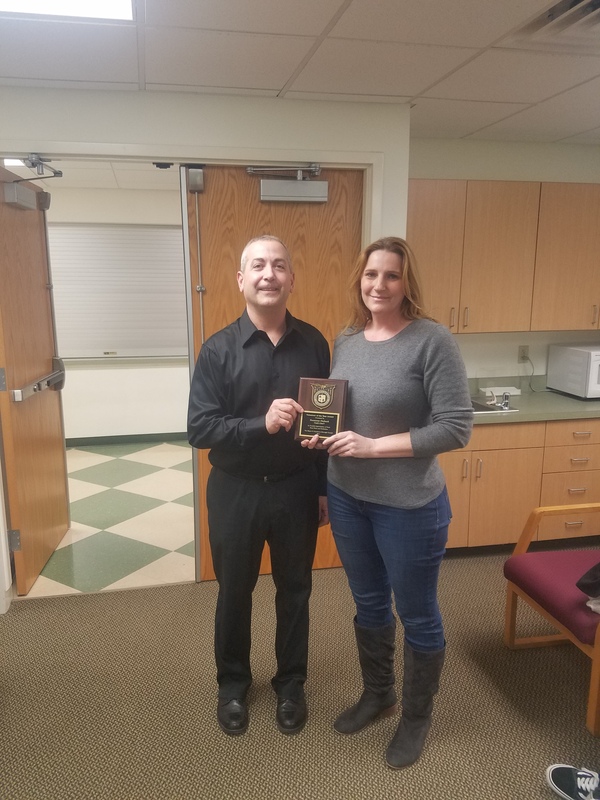 Please join us in thanking Suzanne and congratulating her as the Jonestown 2017 Volunteer of the Year! When do you have township meetings?